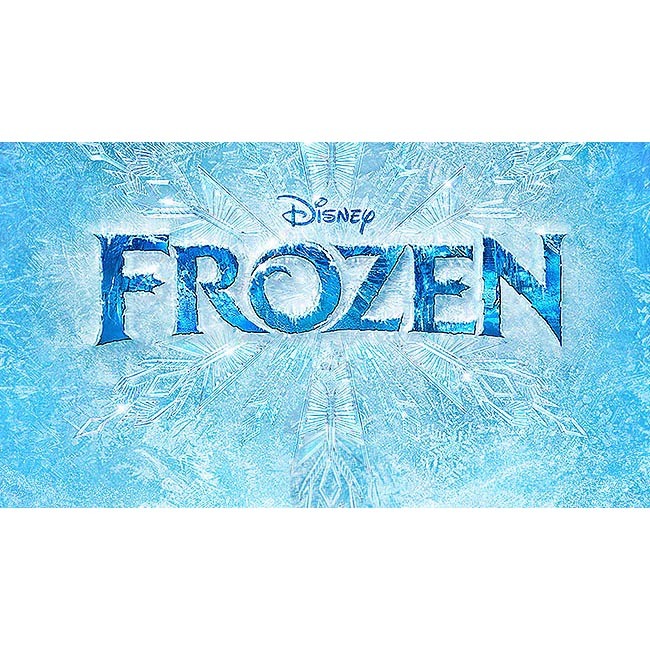 Frozen is definitely Disney- per­haps Dis­ney Junior better describes this ‘tween movie. There are bits and pieces of what we know and expect from Disney here, but when it is all put together, a little Disney does not a great film make. This film is obviously aimed squarely at girls 12 and under, with very little for anyone outside that target audience. The music, and much of the film, is confused, unfocused and bland. The artwork, while beautiful, sets no new Disney high-points for animation, and the acting does not stand out at all. Frozen has all the elements we expect in a Disney film, but limited in scope; they do not attempt anything new in this movie. While it is definitely no Chicken Little, it also does not come close to the classics like The Little Mermaid or The Lion King; it is more one of the more forgettable films in the Disney oeuvre, a young girls version of The Rescuers. Where these two mediocre films are most similar is the lack of a good, solid villain. Let’s face it, Madame Medusa was just not that scary. We find the same problem in Frozen. There is no single character who takes on the evil mantle, who makes us squeal and hide our eyes. The few semi-bad guys that do exist in the film slip in and out of the focus of the story, with no one rising to the nastiness of a Maleficent or an Evil Stepmother. The lack of a good, frightening villain tells us exactly what Disney’s goal here is- to not risk scaring their prime- and very young- target audience. Modern music is very often “compressed”- the louder and softer sequences pressed together to make the mix louder. This process flattens the overall sound wave into a much narrower band- no highs or lows, just everything at the same, high volume. Why? Because studies have shown that people like loud, and louder music sells. But this process also removes the dynamics of the original performance, and is not nearly as exciting as a full sonic soundscape. The same process seems to have been applied to the story of Frozen. The lack of a strong, very evil villain means we do not get the “lows” of the story. The overall ups and downs of the story are therefore smoother and less dynamic. And less exciting. The highs are not quite as high when the lows are only in the middle… you can’t appreciate the work to dig out of the hole if the hole is only a foot deep. The lack of a dynamic story makes the story less satisfying, and the victories at the end less impressive for the lack work to get there. What makes Sleeping Beauty such a great film is not the Fairies but Maleficent; Little Mermaid is not remembered for King Triton nearly as much as Ursula. This film was written by Jennifer Lee, who also wrote 2012’s Wreck-It Ralph. After a troubled beginning, Jennifer Lee was brought in and turned that film into a winner. Becoming a wunderkind of sorts at Disney, Jennifer Lee was allowed into the directors chair for this film. But where Wreck-It Ralph had a wide appeal to audiences, Frozen is focused tightly on her audience. Frozen is well written, but without the breadth of appeal or the depth of the former film. The plot is pretty obvious from the get go, and the surprise twists late in the film are plainly self-evident twenty minutes into the film. Frozen lacks the apparent spontaneity that gave Wreck-It Ralph its life. The artwork does really shine in this film. Disney knows the psychology of how to direct the emotions of audiences with color, and you can see that in abundance here. A lot of scenes stage against a deep blue sky and orange setting sun, others feature the rich greens and purples of the sisters cloaks against the white-blue backgrounds. The town of Arendelle is the perfect fantasy kingdom, a Disney-fied medieval village in the deep fjords of the north. Textures are equally deep and well-formed; the snow sparkles, the clothing coarse, and the hair highly rendered. And the ice- probably something extremely hard to color and animate- is incredibly rendered. Technically it seems like Disney may have missed a step; some scenes seem poorly composited. There were three or four scenes that stuck out at awkward or unnatural. The snow monster was just tacked on top of the trees he was crashing through… and the fire from the burning sled looked pasted on and forgotten. The acting seemed fine, but again nothing remarkable. There were no memorial characters, like Jeremy Irons’ Scar or Danny DeVitos’ Philoctetes. By the same token, there was also no Eddie Murphy and Mushu, either. I had a bad feeling about the snowman side-kick based on the first Frozen trailer. But Josh Gad was actually restrained as Olaf, and both he and Sven were pleasant side-kicks. Either of the sisters could have been played by each other, and the Prince and Kristoff could have switched actors and no one would have been the wiser. For any other studio, this would be an excellent film. But against it’s fifty-two brother films, Frozen is definitely not the worst, but it falls far short of the best. It is a great film for the 12 and under crowd; for them, this is a winner. The rest of us will be happy with a single viewing, and moving on to something a bit most satisfying. The music, while not Top 40, serves the movie, and moves the story forward. The duet between the two sisters is great musical theater. The trolls’ group sing was fun! No highlights for Disney animation? How about about the amazing creation of the ice castle?! How about that one frame which took five days for the computers to render? this is definitely not Disney junior. did u see all those intense dramas between the sisters? my heart was pounding really hard in those. if its that exciting, the kids would be a bit frightened. and the wolves and marshmallow frighten kids too. Disney junior does not scare kids. It’s a nice and handy section of info. We’re content which you contributed this helpful details along with us. Be sure to keep us informed in this way. We appreciate you discussing. Hi cool site! Man. Great. Amazing. I will book mark your website plus use the bottles furthermore? I will be thrilled to find numerous beneficial facts right here inside publish, we want work out extra approaches on this respect, we appreciate you giving.